Lagos Vistoso joins other south Chandler lake communities such as Ocotillo Lakes, Oakwood Estates and Pinelake Estates as highly desireable communities that are served by the Chandler Unified School District and have an abundance of nearby amenities combined with easy access to the new Santan 202 freeway. Mindfull of the need for open spaces, the developers provided grassy areas for family outdoor activities. The waterfront separating the houses varies in the subdivision but averages around 75 feet. 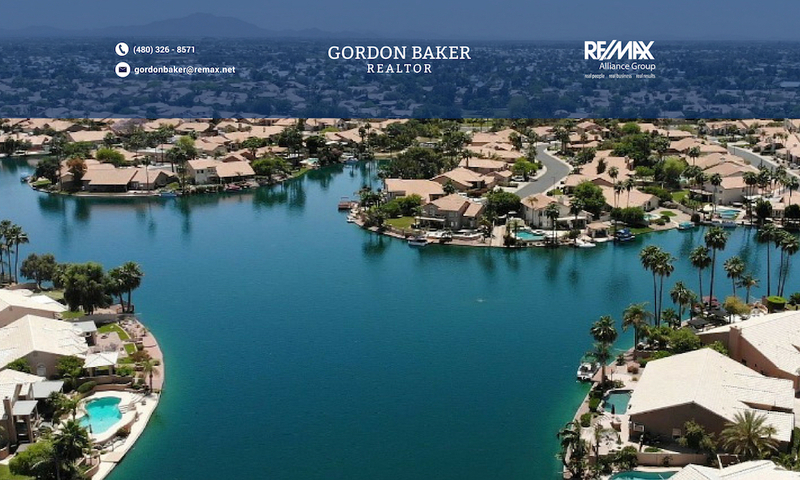 Comparing this to other lake communities such as Ocotillo Lakes and Pinelake Estates, it is narrower than most other lake communities. Like any community, the ultimate appeal will depend on a combination of many factors. For more information on Lagos Vistoso homes, feel free to call or e-mail me.